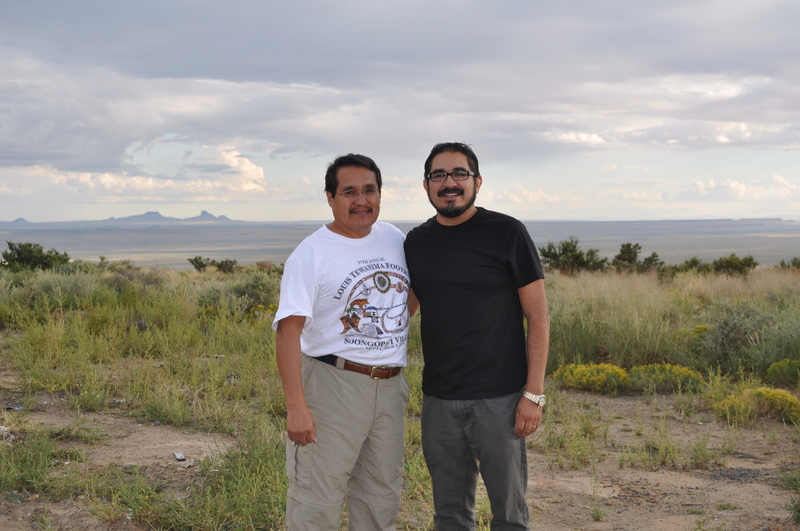 He, along with my mom and other members of my family, accompanied me to the Village of Shungopavi where I gave a talk on Hopi runners at the Louis Tewanima Footrace Pre-Race Dinner. The photograph above is of me standing with my dad – right before I went inside the Shungopavi Community Center to present (below). A special thanks to Sam Taylor and the Louis Tewanima Association for the opportunity to participate in their event. On September 1st I traveled back home to deliver a talk on Louis Tewanima at the Louis Tewanima Footrace Pre-Race Dinner. A reporter for the Navajo Times named Cindy Yurth was present in the audience, and recently published a story about the gathering. A special thanks to Yurth for granting me permission to republish her article on my blog. SHUNGOPOVI, Ariz. — Louis Tewanima may be the most celebrated Hopi runner, but he himself would have admitted he was not the fastest, a Hopi historian told the crowd gathered Saturday night for a celebration of the centennial of Tewanima’s bringing home an Olympic silver medal to this tiny but spectacular hamlet on top of Second Mesa. The fastest Hopi ever was probably some unheralded farmer who never had a chance to go to school — or was forced to, as Tewanima was. Still, Tewanima was the one who brought home the medal, and this past weekend Hopis along with well-wishers from around the world celebrated the centennial of that feat with footraces of varying lengths along some of the very trails Tewanima himself once graced. This past weekend, though, he was everywhere. Perhaps literally. Somewhere else, in fact, the race might have been cancelled when a torrential downpour washed out part of the trail Saturday. 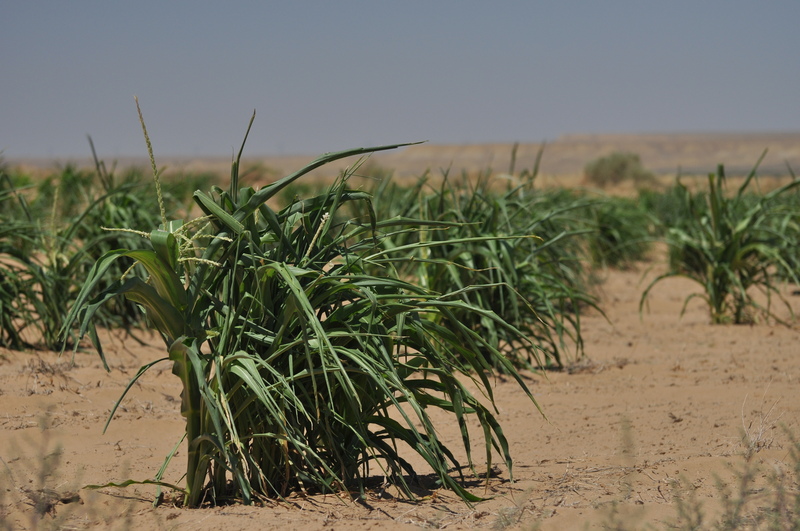 But Hopis, those ultimate dry farmers, know better than to scoff at moisture, even when it comes at such an inopportune time. “That’s what we’re running for, right?” asked Sam Taylor, Tewanima’s great-nephew and one of the organizers of the race, at the pre-race carb-loading party that featured both the traditional spaghetti and a Korean noodle dish, courtesy of a Second-Mesa war bride and her churchmates. That’s a whole ‘nother story. That could be part of why Tewanima offered to run for Carlisle Indian School even though he was dragged to the school after protesting Natives being forced to study at Western institutions — and how he ultimately ended up in the Olympics. As for the history of the Louis Tewanima race itself, it was mostly started because the organizers — the Hopi Athletic Association — saw the need for a competitive footrace on Hopi to give Hopi runners a goal. Naming it after Tewanima was almost an afterthought, said Leigh Kuwanwisiwma, who helped organize the first Tewanima Footrace in 1972. “I’m not really sure how Louis Tewanima was brought into it,” Kuwanwisiwma confessed. One sure thing is that the race succeeded in bringing attention to Tewanima’s feat, which may have been nearly forgotten otherwise. After winning the silver medal, Tewanima returned to Shungopovi and never ran again except for religious reasons and pleasure. As Gilbert mentioned in his talk, Tewanima himself knew he was not the fastest Hopi and never had been. In the course of his research for a book on Hopi running he plans to publish soon, Gilbert uncovered a tale that he thinks sheds some light on the Tewanima era. 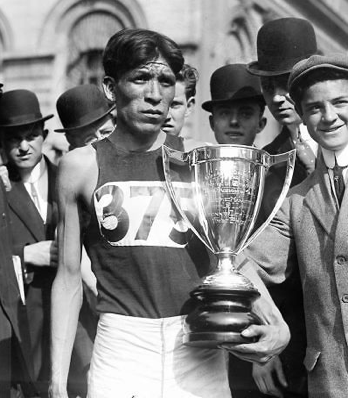 Apparently, Tewanima and fellow Hopi track star Philip Zeyouma, who attended Sherman Institute, were both home for a break and people encouraged them to race each other to prove once and for all which man was the best runner. As both men appeared on the starting line in their school-issue tracksuits, the older men of the village started teasing them. “You don’t look much like Hopi runners,” taunted one man. “If you think you can do better, then come and show us!” challenged Tewanima. Two 50-year-old men stepped forward. “According to the New York Times report, they had essentially no clothes on, no shoes on, and looked like they were dying of consumption,” Gilbert said. The two 50-year-olds crossed the finish line “and just kept going,” Gilbert said. So neither Tewanima nor Zeyouma was the fastest Hopi. And yet, Gilbert argued, they deserve to be honored, particularly Tewanima. 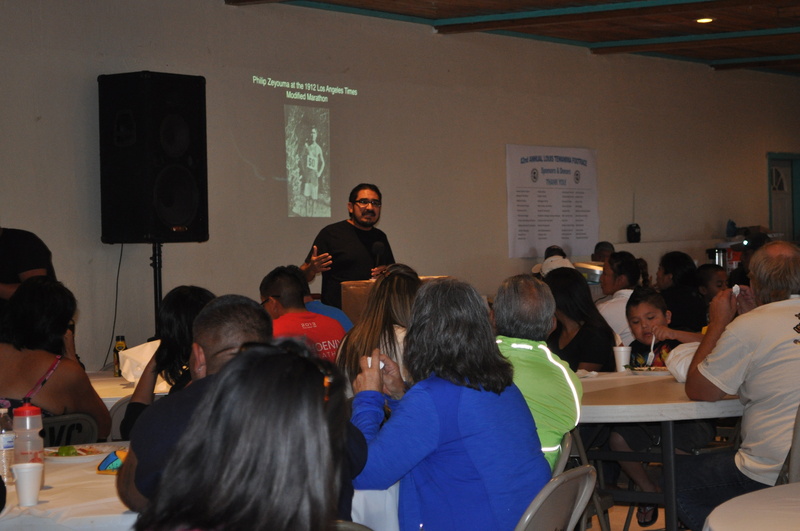 “This new generation of Hopi runners represented a transition in Hopi running,” the historian said. A record crowd of 361 runners would seem to agree. In the summer of 2010, I started writing an article titled “Marathoner Louis Tewanima and the Continuity of Hopi Running, 1908-1912.” The article was recently published in the Western Historical Quarterly (Autumn 2012, Vol. 43.3, pp. 324-346), which is the official journal of the Western History Association. Louis Tewanima was from the village of Shungopavi on the Hopi Reservation in northeastern Arizona. In January 1907, he and ten other Hopis traveled to Pennsylvania to attend the Carlisle Indian Industrial School. While at Carlisle, Tewanima received fame and notoriety by winning several running events, which gave him opportunities to compete in the 1908 (London) and 1912 Olympic Games in Stockholm, Sweden. At the Stockholm Olympics, he won the silver medal in the 10,000 meter race. Over the years, a number of people, especially non-Hopi individuals, have written about Louis Tewanima. 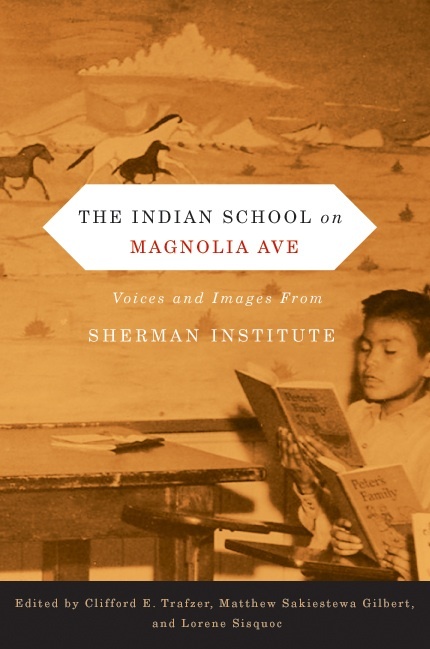 The majority of the scholarly literature on Tewanima is found in Peter Nabokov’s Indian Running or larger narratives on Natives and sports, most notably Joseph B. Oxendine’s American Indian Sport Heritage and John Bloom’s To Show What an Indian Can Do. Contrary to one contemporary writer who noted that Tewanima was “almost totally forgotten,” scholars have remained intrigued by his accomplishments, although they are often overshadowed by accounts of his Carlisle teammate, Sac and Fox athlete Jim Thorpe. While references to Tewanima grace the pages of many articles and books, further studies are needed, particularly ones that interpret his accomplishments within the contexts of Hopi and American sport culture. 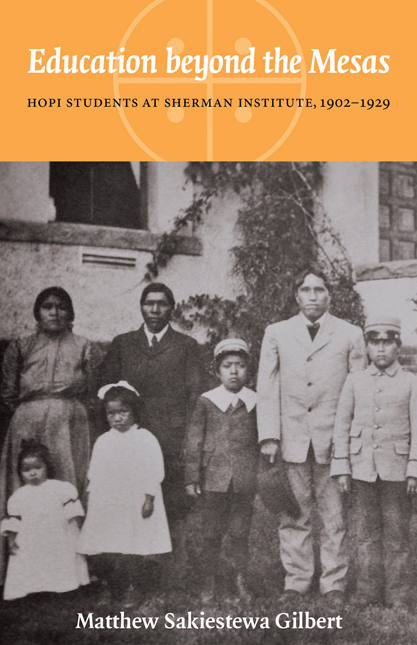 In my article I argue that Tewanima’s story represents his ability to redefine Hopi running in the twentieth century and shows how he maneuvered within American and European perceptions of Natives and sports. His participation in running events also tells of a time when white Americans situated indigenous people on the fringes of U.S. society but embraced them when they brought honors to the country by representing the nation in athletic competitions at home and abroad. 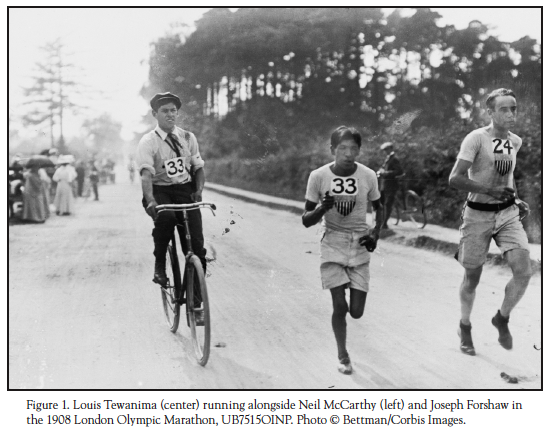 Furthermore, Tewanima’s involvement in marathons and Olympic races demonstrates the ways Americans used his success to advance the ideals of U.S. nationalism as he simultaneously continued the long tradition of running among his people. 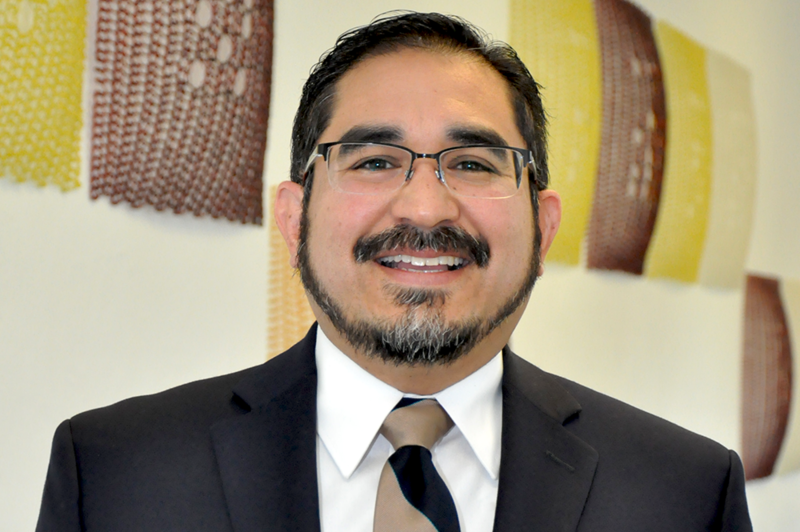 A number of individuals helped me along the way as I conducted research and revised the article for publication, especially my colleagues in the American Indian Studies Program, and the Department of History at the University of Illinois. I am also thankful for the assistance of various Hopi individuals, including Tewanima’s relatives, the remarkable editorial staff of the Western Historical Quarterly, the Journal’s three anonymous reviewers, and officials with the Hopi Cultural Preservation Office for their support of my work. On July 31, Indian Country Today published a nice write-up on past Native athletes and the Olympic Games. Scroll down on the article to read about Hopi runner Louis Tewanima. At the end of January, I wrote a post about recent articles on Native runners. In this post, I mentioned that as the 2012 Olympic Games in London approaches, we should expect to see an increase in the number of articles being published on Native athletes, especially long distance runners. With that in mind, I want to direct you to an article that Jeff Metcalfe published last week titled “Louis Tewanima was Arizona’s sports icon in 2012” in the Arizona Republic. Most of the material for Metcalfe’s article came from previously published sources, including Kate Buford’s Native American Son: The Life and Sporting Legend of Jim Thorpe and Bill Crawford’s All American: The Rise and Fall of Jim Thorpe. 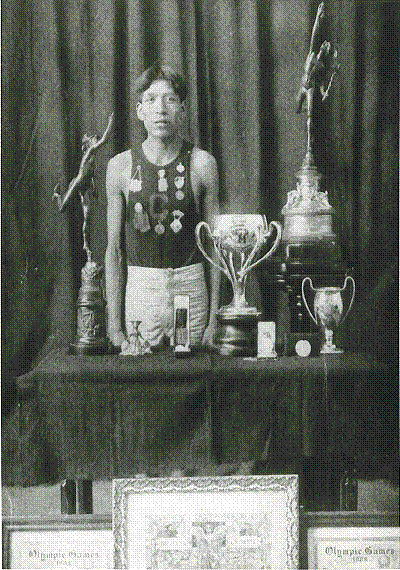 I also wrote an article on Tewanima titled “Marathoner Louis Tewanima and the Continuity of Hopi Running, 1908-1912.” The essay is scheduled to appear in the August 2012 edition of the Western Historical Quarterly – the official journal of the Western History Association.